With reference to your article on this page. I’d like to quote one sentence that is critical in the noise debate. “While reduced fuel burn helps reduce emissions, it should not be done at the expense of causing increased noise levels over the very small segment of flight immediately after take-off where noise abatement is the key criteria,” he said. The zealous drive to reduce emissions is nothing short of insanity, as emissions have a proven nil effect on the climate. Your paper and almost all others like you refuse to enter into a proper debate over the emissions issue. 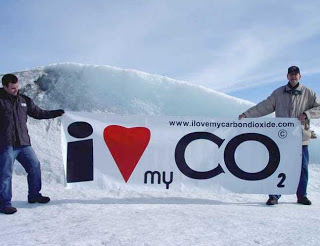 If you were to bother to properly investigate the emissions issue, you will find that despite decades of searching and billions spent on researching, there is not one single shred of actual evidence that carbon dioxide has an effect on the climate or global warming for that matter. Glaciers are not melting, hurricanes are not increasing, oceans are not acidifying, sea levels are not rising alarmingly, Arctic, Antarctic and Greenland ice is not sliding into the sea etc. As a leading world expert on climate change living in Suffolk, I have repeatedly offered my services to local councils (SCDC and SCC) who point-blank refuse to accept the simple truth that emission reductions will have nil effect on the climate. There is too much vested interest in keeping the false information going and it is a crying shame on them. Even more so on you as a public information spreader though, as you are only too happy to keep the myth of man-made climate change alive. May I dare you to a debate? Are you willing to find the greatest adherents to the myth and put them up against me? Let’s define ten agenda points and debate them until the truth is established, one way or the other. I am ready to be convinced that human emissions of carbon dioxide should be regarded as pollution and should be reduced in order to save the planet and make a better future for our children. Are you or anyone else prepared to be convinced of the opposite? Facts, evidence and well-established Laws of Thermodynamics are on my side and I will single-handedly take on all-comers who cry alarm. My recent letter to PM Brown will indicate to you what is at stake here. It ought to be the hottest topic on your and the government’s agenda, yet all are silently heading towards economic oblivion over emission reductions that are meaningless in terms of effecting the climate. The Guardian regularly offers its front-page headlines to keeping the alarm alive. A recent announcement about allowing more planes and setting the emission reduction target for the rest of industry and commerce at 90% instead of the earlier 80% should set alarm bells ringing. Do you really think you can reduce emissions by 90% (or 80% for that matter) and still have an economy? Are we all going to walk to work? What work? I await acceptance of my challenge and wide publicity of the forthcoming debate. To aid publicity, I’ve copied a few people in on this email, including some of the world’s leading scientists, climate researchers, professors and international IPCC expert reviewers amongst them, as well as Look East and the BBC. The greenies almost never agree to a climate debate. And the few times that the have agreed, they almost always lose. They know this so they will never agree, they have too much to lose.